For when off the shelf just doesn't cut it! 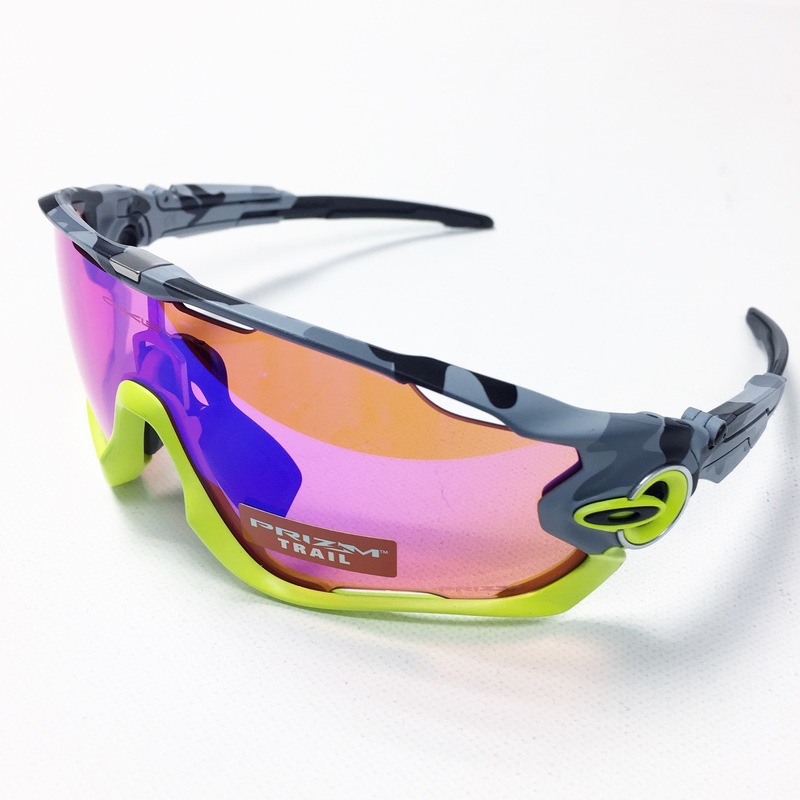 The ultimate in customisation, you can now own a pair of Oakley, POC, Ride100Percent (insert other brand here) sunglasses exactly the way you want them! 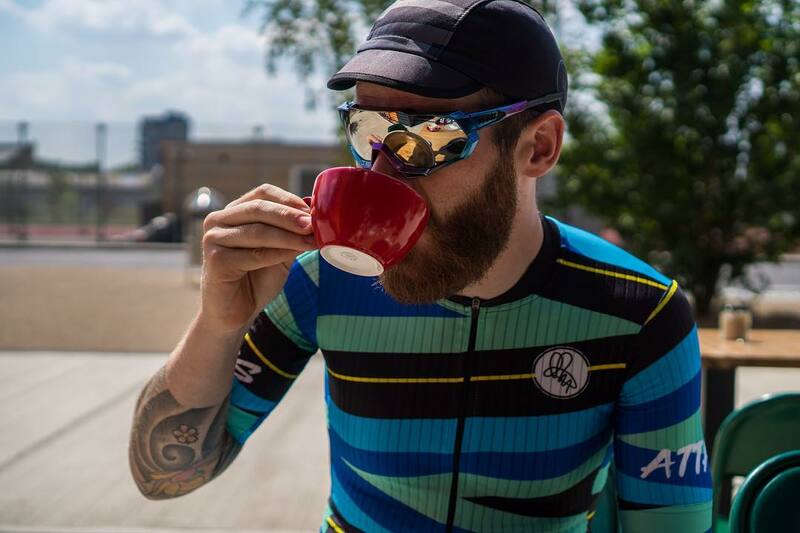 Kustomflow is one of only a few people in the UK specialising in painting cycling and sports sunglasses. I can create a design from my own range or you can contact us with your own custom design or idea, which can then be painted onto the frames. I work with brands for special one off items as well as the public. Some brands offer ‘customisation’ at checkout, but not to the nth degree like I can achieve. With a wide range of colours and finishes to choose from you can be sure I can create something totally just for you. From chrome finishes to colour changing chameleon flip pearls, you name it – I can paint it! 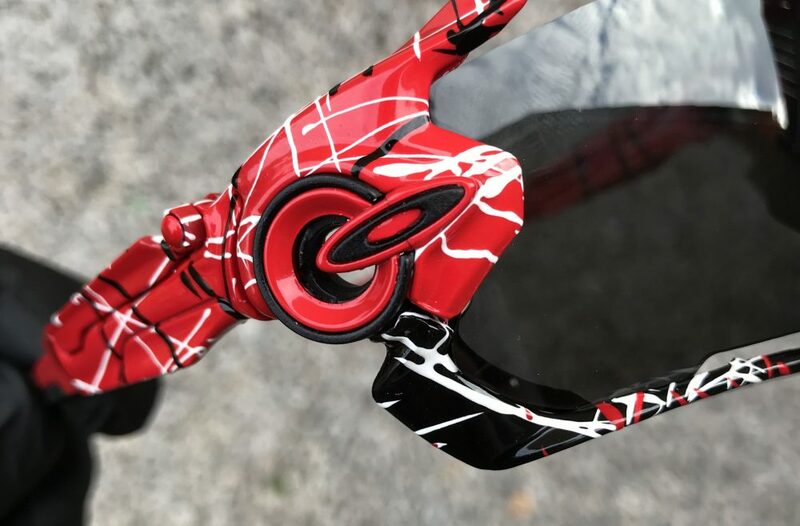 Each pair of glasses are 100% handcrafted to ensure attention to detail and the finished product is completely unique, they can be painted to match your team colours or your individual style beyond what is available to buy off the shelf. All frames sent in for paintwork are inspected for any damage or wear and tear. They are then disassembled and sanitised. The parts are then all individually media-blasted with a very gentle abrasive to remove any contaminants and lightly etch the surface ready for paintwork – this is a key stage overlooked by many other custom sunglasses specialists. Once paintwork is complete a final high impact matte or gloss clear coat is applied and then the glasses are reassembled ready to be returned. All of my paintwork is to the highest standard. Unlike other places who customise sunglasses I don’t use cheap ‘rattle tin’ clear-coats or any hydrodip films which will eventually chip and flake. All my products are applied either by hand/brush or with high precision airbrushes and spray equipment from Iwata and Sata. I am not an authorized dealer/distributor or affiliated in any way with any brand or make of sunglasses. I do not buy in or carry stock of products. My service is a complete paint and customisation service based on you ‘the customer’ sending in your own pair of sunglasses for customisation. Original manufacturers warranties may be void if you decide to have your sunglasses customised. Some images may contain replica sunglasses – these are either sent in from customers or simply for demonstration purposes and strictly not for resale.